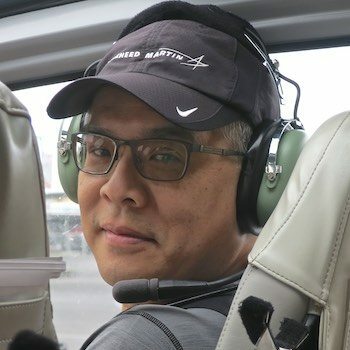 Hayman Tam is a semi-professional photographer from Northern California, retired from Lockheed Martin, and has been photographing airplanes most of his adult life. Working in the aerospace industry afforded him opportunities to get up close to unique subjects like Space Shuttles and the Super Guppy. As a Hiller Aviation Museum volunteer, Hayman has also photographed quite a few aircraft at their rotorcraft events. His airshow articles have appeared in ISnAP magazine, Airport Journals, Pacific Flyer, InFlight USA and currently General Aviation News. Hayman was the Second Place winner (General Category) of the 2013 Aviation Week Photo Contest.